In addition to being golf’s greatest amateur and the founder of the iconic Augusta National Golf Club, Bobby Jones was a lawyer (and an engineer). 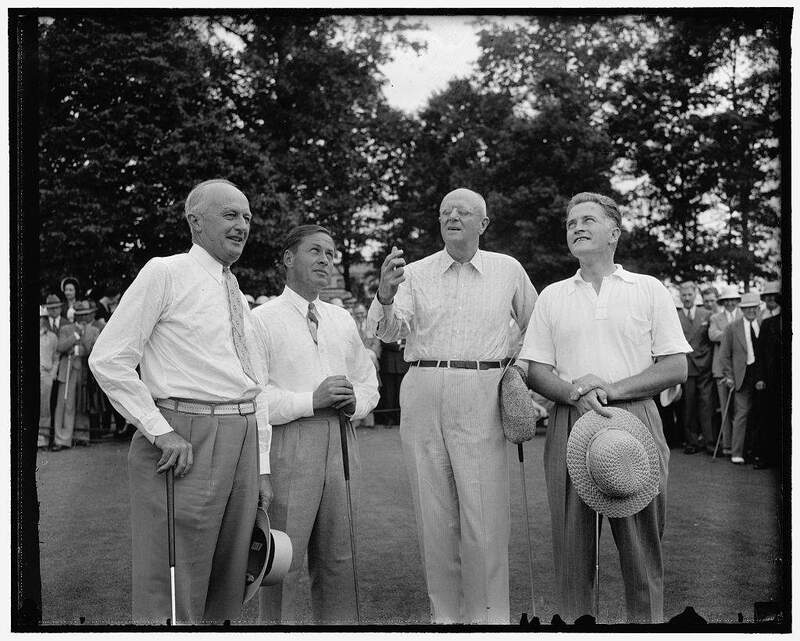 This photo, from May of 1938, shows Jones with Attorney General Homer Cummings flipping a coin for honors at a Bar Association golf outing at Congressional Country Club. Pictured are, from left to right: Roger Whiteford, Washington Attorney; Bobby Jones, Attorney General Cummings, and John McClure, Washington Attorney.